Lilly Skok Bunch joined the CapDev team as Senior Counsel in 2016. A high-energy leader with a passion for building the fundraising capacity of organizations, Lilly is excited by the opportunity to serve as a trusted advisor and change agent for clients and as part of the stellar team at CapDev. Lilly has made a career serving in the philanthropic sector as both a practitioner and a consultant. Most recently, she served as the interim president of the Culpeper Wellness Foundation, in Culpeper, Virginia,and before that, she led Helping Hands Clinic is Lenoir, NC, a privately-funded medical care serving uninsured people in Caldwell County. As the CEO of her own consulting firm from 2004 to 2012, Lily worked with a diverse set of clients focused on education, policy, healthcare, the arts, social justice and outreach. 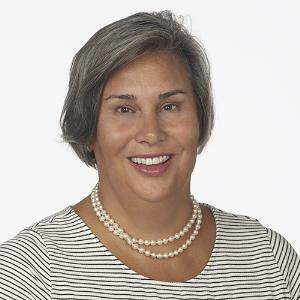 Prior to launching her consulting business, Lilly served as the Vice President of External Relations and Development of Peace College in Raleigh, North Carolina, and Alumnae Director of her alma mater, Hollins University, in Roanoke, Virginia. Lilly, a former Rotary Club president, currently serves on the board of the Catawba Valley Community Foundation, as well as the grants taskforce for the North Western Region Affiliate of Susan G. Komen. Lilly and her husband, Al, have one son, Sam, and make their home in Winston Salem.